Proudly Received the 2015 Trip Advisor Certificate of Excellence. 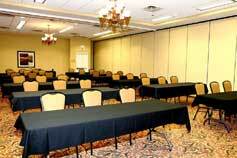 Business Center, Fitness Room, Pet Friendly, Covered Parking. Adults $10.95 and Children under 13 $4.95 and Infants Free under 3. 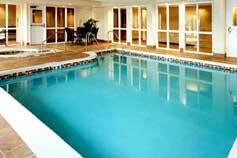 Year round Heated Indoor Pool and Spa. 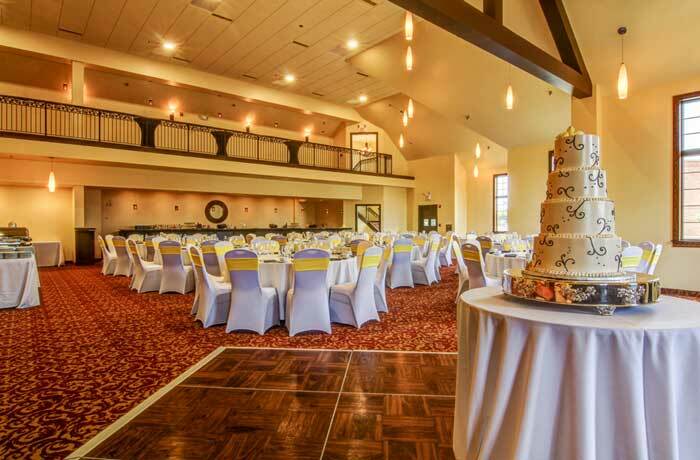 5,300 sq.feet of Ballroom and Banquet Space. Setup and Catering available. 25 to 300 person setups are available. 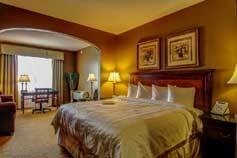 PremiumBedding, Flat Screen TV, Jacuzzi Suites, and Executive Suites available. The Wildwood Hotel is proud to be awarded a 2015 Certificate of Excellence from Tripadvisor based on consistent high ratings from our past guests who had posted their reviews on Tripadvisor. We are committed in providing service excellence for all of our guests staying at The Wildwood Hotel. Experience a charming retreat only 30 minutes west of St. Louis at the boutique Wildwood Hotel. From the moment you arrive, our traditional French chateau architecture and contemporary amenities are sure to impress. Check in with our friendly front desk staff, head to your spacious guest room or suite and begin unwinding from your journey. During your stay, youll be treated to premier complimentary amenities, such as wireless Internet, a daily hot breakfast, 17 inch pillow-top mattresses, indoor pool access, covered parking and more. 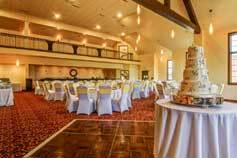 The only boutique hotel in Wildwood, Missouri, to offer exceptional conference space and event services, our on-site planners can help you host the perfect business meeting, conference, wedding or other gathering. Learn more about our sophisticated event space, including the brand new Augusta Room featuring a beautiful balcony overlooking our main floor. The Wildwood Hotel is the ideal place to stay while exploring the many attractions in and around St. Louis. Located just steps from shopping and dining at the Wildwood Town Center, we are approximately 15 minutes from Six Flags and 10 minutes from Hidden Valley Ski Resort. Other popular nearby attractions include the famous Gateway Arch, Busch Stadium, St. Louis Zoo, the Butterfly House and more. Plan your visit today. Call 636 733-9100 or book your stay online now. Gateway Arch - Take a 630-foot ride to the top of this world-famous stainless steel monument for the finest view in the Gateway City. Then stop by the Jefferson National Expansion Memorial to get a glimpse of where Lewis and Clark set out on their historic expedition! Visitors can also hop aboard a 19 th century paddle-wheel boat replica for a narrated cruise down the mighty Mississippi. - Lambert–St. Louis International Airport is an international airport serving Greater St. Louis. It is about 10 miles northwest of downtown St. Louis in unincorporated St. Louis County between Berkeley and Bridgeton. Butterfly House: Interact with butterflies, try your hand at some science experiments or immerse yourself in a little arts and culture – it's all in a day's fun in St. Louis, Missouri. From sports and shopping to tours and attractions, check out what St. Louis has to offer by exploring the information below. In addition to all your favorite video poker games and classic table games like craps, blackjack, roulette and baccarat, each casino has something special to offer visitors from the ultimate 70's and 80's dance club, Boogie Nights at Hollywood Casino to the Sevens sports lounge and nightclub at Casino Queen . Take in an intimate show at the luxurious Lumiere Casino theatre or dance the night away in Judy's Velvet Lounge at River City Casino . 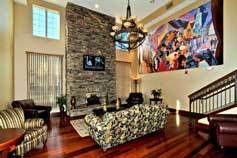 All have excellent hotel amenities, delicious restaurants and top-notch entertainment. St. Louis hosts hundreds of festivals and events throughout the year. Ethnic festivals, art fairs, theatrical presentations, sporting events and music festivals—all are included in the calendar below. Find out what's going on during your visit, or plan your next trip to St. Louis around one of our unique events. - Wildwood is about the bonds that link neighbors and neighborhoods into a cohesive community of caring, involved and dedicated citizens. Wildwood is also about a quality of life based upon careful stewardship of the magnificent natural environment, and ensuring that this legacy is passed on to future generations as a result of planned, responsible, sustainable growth through citizen and business partnerships that respect the natural qualities of the land. Family Medicine West - Mercy 16555 MO-100, Grover, MO 63040 (636) 405-3155 Transforming the Health of Our Communities Our Mercy health system was founded by the Sisters of Mercy in 1986. But our heritage goes back more than 185 years. It began with an Irish woman named Catherine McAuley, who wanted to help the poor women and children of Dublin. St. Louis University One North Grand St. Louis, MO 63103 USA 1-800-758-3678 Saint Louis University is a Catholic, Jesuit institution with campuses in St. Louis, Mo. and Madrid, Spain. SLU values academic excellence, life-changing research , compassionate health care, and a strong commitment to faith and service . For nearly 200 years, the University has gone beyond teaching facts and figures, encouraging students to form ideas and identities. Today, SLU students are nearly 13,000 strong, seeking to mold their lives into something stronger.